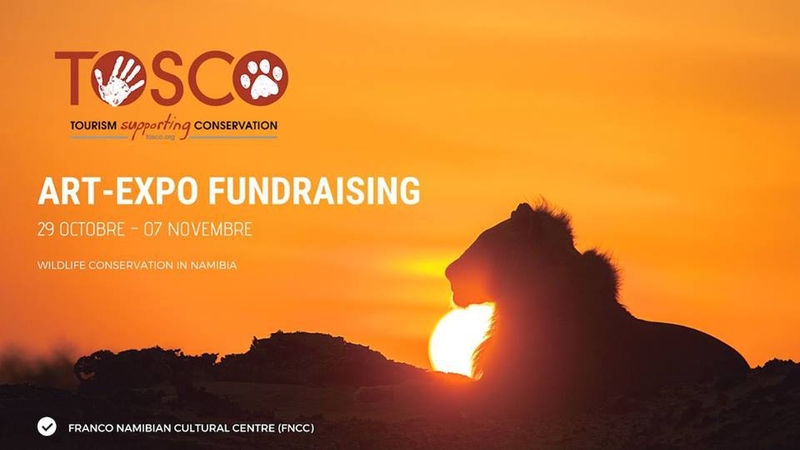 TOSCO is hosting an Art-Expo to raise awareness about Namibian wildlife, the challenges of living with wildlife and the role of tourism helping in the human wildlife conflicts. In the other hand we will collect funds through selling wildlife-related art pieces that help TOSCO in supporting conservation projects in Namibia. This Expo aims to make people aware of the fact that the wildlife with which we share this planet, is in danger of being lost forever. At the same time, it aims to make people aware that they can play a role in conserving it. Furthermore the expo will show the efforts that people and organizations are already undertaking to decrease these conflicts between wildlife and local communities. Part of this is the often forgotten or misunderstood perspective of the local community on the issue, as it is not easy to live with wildlife and sacrifices often have to be made.